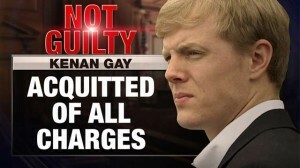 After a three-week jury trial covered heavily by local and national media, Kenan Gay was acquitted of second degree murder. David Rudolf and Sonya Pfeiffer represented Mr. Gay at trial. 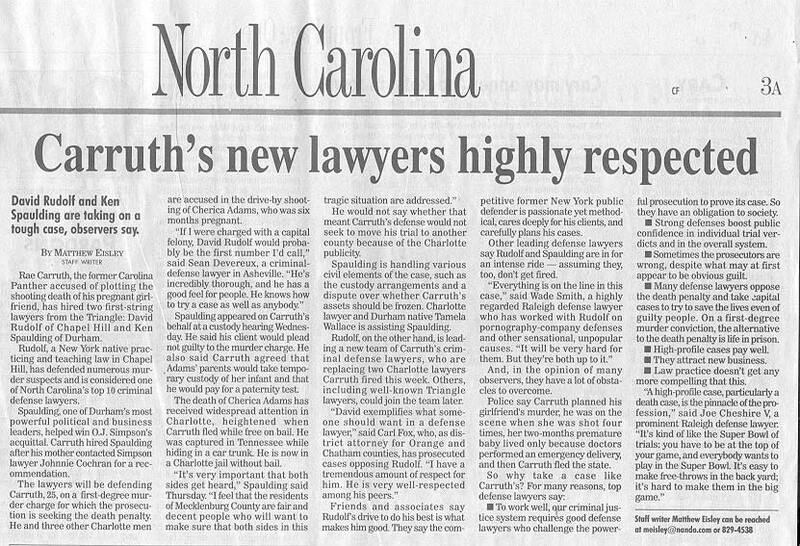 Read about the verdict in the Charlotte Observer. Watch Good Morning America’s coverage here. Watch local coverage of the verdict here. View David Rudolf’s comments to the press here. In a rarely seen plea deal, Sonya Pfeiffer and David Rudolf secured a voluntary manslaughter deal for Carole LaRossa, a woman charged with first degree murder in the killing of her estranged husband, a former New York City police officer. 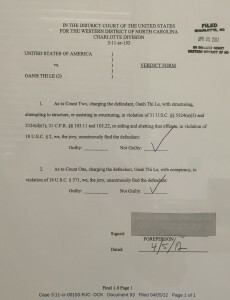 In reaching the agreement with prosecutors, Pfeiffer and Rudolf presented a full investigative report highlighting years of psychological abuse, hidden drug use by the victim, and questionable involvement of retired New York City police officers in the investigation by Charlotte-Mecklenburg Police. Read about the story in the Charlotte Observer or on WBTV’s website. Watch coverage on WSOC-TV or WCNC-TV. David Rudolf and Sonya Pfeiffer represented the defendant and her husband, both naturalized United States citizens who emigrated from Vietnam in 1981, who were indicted for “structuring” – making multiple cash deposits and withdrawals from their bank accounts in amounts under $10,000. Defendants, who spoke little English, testified that they were told they would have to fill out bank forms if they deposited $10,000 or more in cash at one time, but did not know that these forms would be sent to the federal government. After a three day trial, the jury deliberated less than two hours before finding both defendants not guilty of all charges. In 2003, following a 5-month trial that was the subject of an award-winning documentary entitled The Staircase, novelist Michael Peterson was convicted of the murder of his wife Kathleen, and was sentenced to life without parole. In December 2011, David Rudolf, who had represented Peterson at the trial, filed a motion for a new trial, alleging that the blood spatter evidence used to convict Peterson had been fabricated and misleading. Rudolf represented Peterson at the 2011 hearing on a pro bono basis. 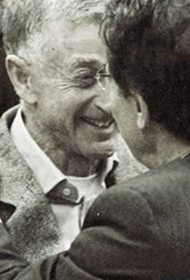 The trial judge, after a hearing during which Rudolf called sixteen witnesses, granted Peterson a new trial. He is currently out on bond. After a death penalty trial that lasted more than three months, Carolina Panther’s wide receiver Ray Carruth was found not guilty of murder. He was convicted of the lesser charge of conspiracy. David Rudolf and Raleigh lawyer Joe Cheshire secured a not guilty verdict for Mark Crotts. 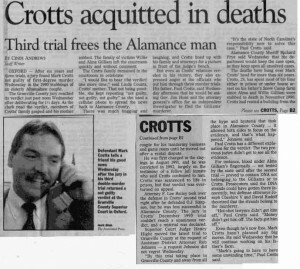 Crotts, represented by other counsel, was found guilty at his first trial, but the verdict was reversed on appeal. A second trial, at which Crotts was represented by F. Lee Bailey, ended in a hung jury. 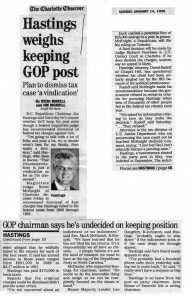 David Rudolf successfully argued that tax charges should be dismissed against the Chairman of the North Carolina Republican Party on the ground that he had been unfairly targeted for prosecution due to his political affiliation. Charlotte physician arrested for the murder of his wife, found stabbed to death in their home. After a pretrial hearing at which David Rudolf established that the police withheld evidence from the District Attorney’s office that implicated a handyman who had worked at the house, the case against Dr. Friedland was dismissed. The murder has never been solved. 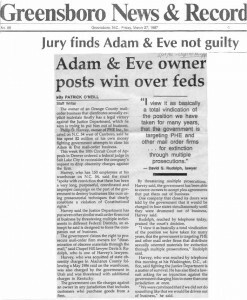 David Rudolf, along with Raleigh lawyer Joe Cheshire, convinced a jury to acquit a company and its CEO of all obscenity charges in the first federal obscenity case brought in federal court in North Carolina. David Rudolf, as part of a team of prominent defense lawyers including Wade Smith and Joe Cheshire, won an acquittal for their clients on all charges of distributing obscene videos in Alamance County, North Carolina.